Whether you find yourself sleeping in an airport by choice or by some unfortunate stroke of bad luck, it is possible to sleep in an airport relatively comfortably and safely. Here are a few tips to help you make your overnight stay in an airport terminal less stressful. If you’ve ever travelled by plane, you know sooner or later you might get caught in a layover between flights. No biggie if your layover is short—just read a book or grab a bite to eat and wait it out. However, if your layover leaves you stranded in an airport overnight, that’s a different story. Here are some things you can do to make sure you sleep better, stay comfortable and safe. You’ll be glad you know this information. If you know in advance you have a long layover, research whether you can or can’t sleep in the airport overnight. Even if staying overnight inside the terminal is allowed, you may not want to due to poor or disgusting conditions. Know before you go by using sites like www.sleepinginairports.net which provides user-generated reviews about almost every airport you can think of. You’ll find all the information you need about a particular airport such as whether or not there is free wi-fi, if an airport is clean, allows sleeping and so much more. In addition to wearing or packing comfortable, loose-fitting clothes, you should consider packing a survival kit that will get you through a night or two in the airport. At a minimum, you should pack the following items plus anything else you think you might need. My husband and I were stuck in an airport in Colorado when the airport was snowed in. Having a change of clothes was the pick-me-up we needed to feel a little fresher the next morning. When my daughter spilled hot chocolate all over her dress in Switzerland, I broke out her spare clothes. Mommy to the rescue! , hair scrunchy. I sometimes pack vaseline because it has so many uses. Be careful that each container that contains liquid is not more than 3.4 fluid ounces or 100 ml. I don’t like to carry all my makeup in my carry on bags when I travel so I bring a subset of just the essentials and put everything in a clear (see-through) cosmetic bag which makes it easy to see what I have at a glance. Neutral lipstick which doubles as a blush and eye colour, mascara and of course lotion. 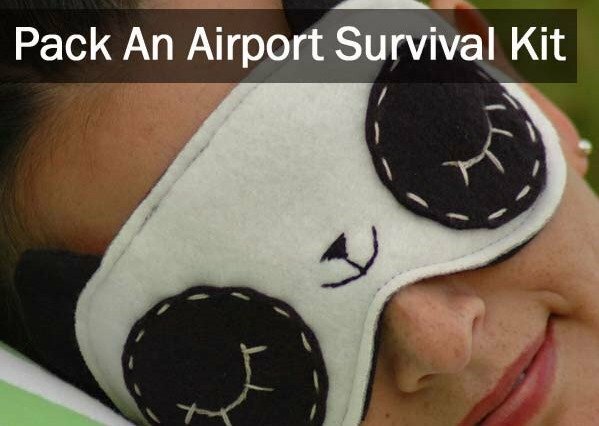 Bring a travel eye mask or simply lay a shirt on your head to block out the airport lights. I’ve seen some people wear a beanie pulled down over their eyes. You’ll be glad you have some earplugs even if the airport is not super loud. Blocking out sound really does help you sleep. Try corded earplugs. You’ll never lose them if they fall out. or rolled up a sweatshirt for your head. I’ve seen some people bring their bed pillows from home. I like to pack a cute micro-bead filled travel pillow because it stuffs easily in my bag and when you lay on it, it forms perfectly around my head. It can get cold in some airports so be sure to bring a small travel blanket or use a jacket to cover up. I like to bring a fashionable oversized scarf or Pashmina which doubles as a blanket and a fashion accessory. really come in handy for quick washing’s in the airport sink. Travel makeup wipes are pretty useful too for the ladies. Get a small snack in case you get hungry so you don’t have to get up and lug your bags with you to find food. to watch videos or listen for music. Sudoku, a ukelele, a guitar. It’s rated 10,400 mAH which means it can keep your smartphone charged all day. It has 2 USB ports so you can charge 2 devices at the same time which —no more fighting over who gets to charge their electronics. If travelling with kids, pack their essentials too including clothes to sleep in, toys and some form of entertainment like crayons or books. 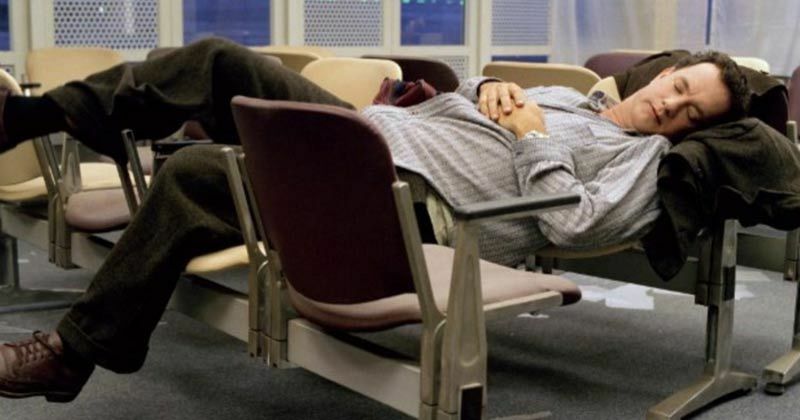 Sleeping in an airport is a bit of a science and not all airports are created equal when it comes to sleeping in them. Some airports have sleeping facilities, lounges and even rooms where travellers can sleep but most don’t. For airports without a designated sleeping area, you should take a walk around the airport to scope out the best place to sleep. Here are some things you should consider when choosing a spot to sleep. Safety in numbers: If possible try to sleep where other people are sleeping. Stay away from high traffic areas: Toilets, check-in desks, next to stores or food vendors are all high traffic and noisy areas to sleep which could make it difficult to sleep. However, if you pack some earplugs and eye mask this might be less of an issue. Look for a set of chairs with no armrests: It’s much easier to stretch out on a chair with no armrests and more comfortable and cleaner than the floor. Look for clean carpeted areas: If there are no chairs available, consider sleeping on the floor. I like to sleep close to a wall or window on one side of me with my luggage between me and the wall. This protects my bags from would-be luggage thieves. Look for outlets: If you can find an acceptable to sleep where there are outlets, you can charge your phone or laptop in the night. Keep your passports, credit cards and cash near or on you. Otherwise, put your valuables in an INSIDE pocket of your bag— NOT the outside pocket where it can easily be snatched. Try to put your luggage between you and a wall like a sandwich. Lay your head on your bag or take a strap and anchor your luggage to something near you like a chair so no one can run off with your luggage. 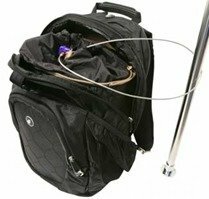 You can use locks especially made for this like a lock and luggage cable or bring an old bicycle lock. Take precautions so you wake up on time by any means necessary. Before falling asleep, confirm your flight details so you know when you need to wake up to catch your connecting flight and which gate you need to go to. 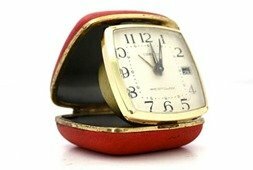 Set your phone alarm, watch alarm, travel clock or all three. If you don’t have an alarm, write a note in big letters “wake me up at 8:30 in the morning so I don’t miss my flight”. Just like you would at home, it helps to clean up a little before bed even if it is on some yucky airport floor. Change into something comfortable if you have to. Brush your teeth, wash your face and take off your shoes. I like to have a pair of socks on hand. Listen to some music or read a book if you want and then try to relax and get some sleep. You’ll feel better when you wake. 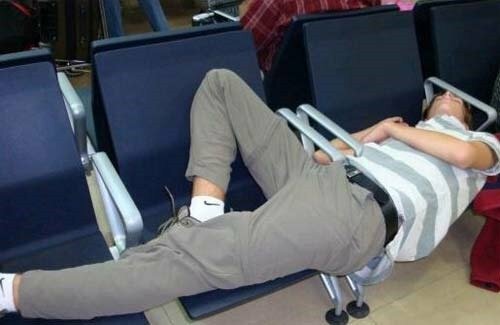 Sleeping in airports can be fun or it can be total hell. Use your best judgment on deciding whether or not to sleep in an airport for long layovers. My kids love sleeping in airports and I do to but not when I’m alone.